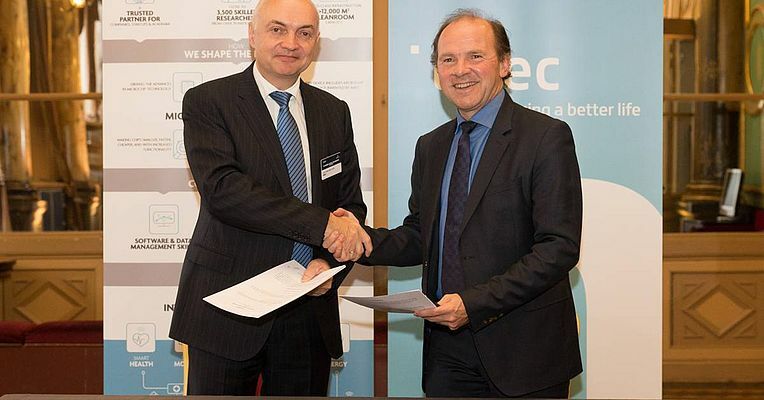 The world-leading research and innovation hub in nanoelectronics and digital technology imec, and the Flemish Government announced a new, 5-year strategic commitment that aims at strengthening the pioneering role of Flanders’ renowned research hub. Imec’s annual grant has been raised to 108 million euro with extra money being invested in imec’s longer-term strategic research to consolidate its global position in advanced semiconductor R&D and digital technology and their application domains in smart health, smart cities, smart mobility, sustainable energy and Industry 4.0. Following the merger of imec and the Flemish research institute in software and ICT, iMinds in 2016, Flanders has a world-class innovation hub in the domains of nanoelectronics and digital technology, collaborating with industry leaders and universities and research centers worldwide. Imec attracts talented scientists from around the world and has distributed research teams at the five Flemish universities.